Ms. Hermiston brings more than 30 years of experience as a lawyer to this new position, 27 years of which have been spent in the public service. 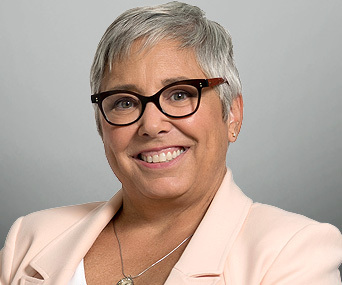 Sandy was General Counsel to the independent offices of the Alberta Ombudsman and Public Interest Commissioner, working to resolve complaints of fairness and whistleblowing disclosures, starting in 2014. She spent 17 years as General Counsel to an administrative tribunal where she acquired extensive expertise in administrative law and fairness. Having lived for seven years in Canada’s far north, with a population of 45,000 people, she is well acquainted with living and working in a small jurisdiction where the breadth of work is wide and communities are tight-knit. During her career as a public servant, she demonstrated her ability to establish herself in newly-created positions, having done so three times in two different jurisdictions. She possesses a broad understanding and knowledge of public administration and government structures and functions, as well as significant experience in the governance of public bodies. Sandy is committed to ensuring fair treatment, reasonable decision-making and transparency in the Cayman Islands public services. She sees complaints, requests for information and whistleblower disclosures as opportunities for meaningful dialogue and improvement. She will ensure that where things go wrong, action is taken to put them right wherever possible.